Blackpool Indoor Bowling Centre situated at Newton Hall Holiday Centre in Blackpool, Lancashire. 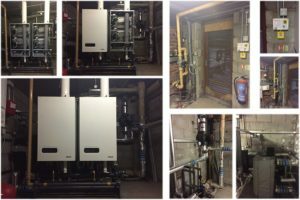 Following success in competitive tender, Horsfield were subsequently awarded the boiler replacement contract to update the ageing floor-standing boiler with an energy efficient option that would deliver reliability and lower running costs. We installed two ATAG XL140 units to replace the floor standing boiler and introduced a plate heat exchanger to isolate the new boilers from the old vented system.A gas safety interlock panel was installed along with a gas solenoid, thermal link and emergency shut-off button to ensure improved safety control and compliance with current regulations. 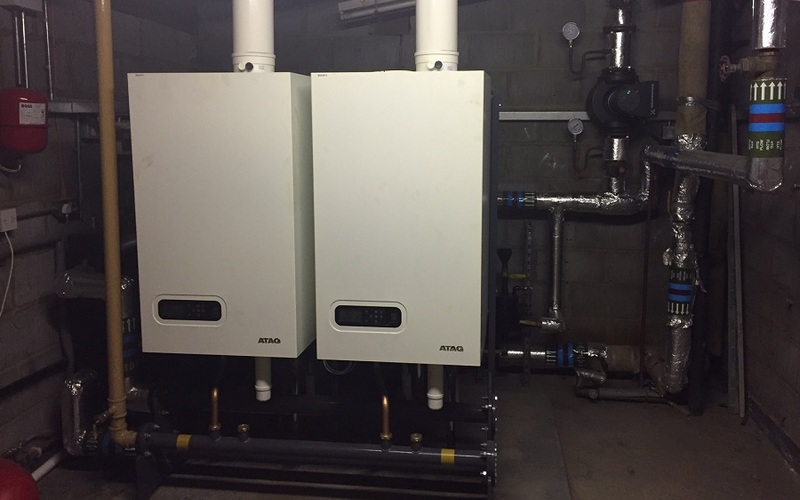 Blackpool Indoor Bowling Centre now enjoy the fuel savings delivered by the high efficiency ATAG boilers along with improved reliability over the ageing boiler that was removed.